Our Practice — Brodie & Rubinsky, P.C. For over 30 years, Brodie & Rubinsky, P.C. has represented parties in litigation with a focus on labor, employment, and wage-and-hour claims, both as individual actions and as class actions. We also represent individuals in real estate and estate matters, small businesses, non-profit organizations, and individuals in transactional matters as well as in litigation. Josh has practiced labor and employment law since his admission to the Pennsylvania Bar in 1986, first in his own practice and later as a partner in Brodie & Rubinsky. 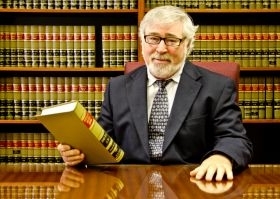 In addition to labor and employment, his practice includes small business counseling and litigation, wills and estates. Prior to his admission to the bar, Josh was the Director of the Center for Fair Employment, an organization providing advice and assistance to employees in labor and employment matters. Sherrie J. Cohen, Esq., is a public interest attorney. She has sued the five largest cigarette manufacturing companies in the nation, manufacturers whose use of toxic metals injured workers and residents living near the manufacturing plants, and the landloards who violated the city’s Lead Law which is designed to protect the health of young children. As an attorney with the Tenant Union Representative Network, Sherrie helped tenants fight for their legal right to safe and decent housing, and against unfair evictions by slum landlords. A lifelong activist for racial, economic and social justice, Sherrie is a Democratic candidate for City Council At-Large in Philadelphia in May 2019. David Ralston has been with Brodie and Rubinsky, P.C since 2017. David is a Paralegal/ Administrator and works with 3 firm attorneys. Together the firm handles labor law, class action wage cases, landlord tenant, lead paint litigation, trusts and estates, and real estate. Formerly, David was appointed Principle Assistant at the City Commissioners office in 2015. David has a background working with local elections and has served as a Campaign Finance Director and Treasurer. David also has over 15 years of experience as a consultant for various law firms in the Philadelphia area. In the early part of Dave’s journey, he worked for the Philadelphia Federal Credit Union where he was promoted four times. David also had a successful track record at Allied Bond and Collection Agency. Eric began working for Brodie &Rubinsky, P.C in 2019. Eric has represented clients in both New Jersey and Pennsylvania since 2011 in the areas of small business advice, real estate transaction, estate planning and administration. In his practice Eric has worked on a large variety of different issues which have included a guardianship for the elderly and disabled clients, is assisting in disputes between business partners, setting up businesses, assisting in the sale of businesses and business succession planning. Mary Virginia began working for Brodie & Rubinsky P.C. in 2015. As a paralegal, Mary Virginia assists attorneys with interviewing clients, drafting legal documents, assisting in legal filing, and administers much of the day to day operations of the office. Mary Virginia is a member of the Philadelphia Bar Association with a membership in the Probate and Trust Section. Prior to joining Brodie & Rubinsky P.C., Mary Virginia did paralegal work at the American Civil Liberities Union (ACLU) of Pennsylvania, including work on the "stop and frisk" settlement.